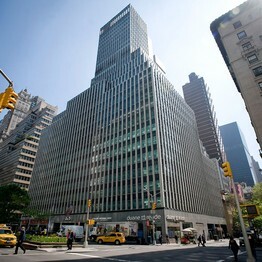 L&L Holding Co. has reached out to 11 top architectural firms to join a competition to design a new tower at 425 Park Avenue in Manhattan. Nearly a half century after much of Park Avenue’s high-end corridor of office buildings were built, developer L&L Holding Co. is advancing plans for a new tower. Aiming to create an iconic, eye-catching building in the place of a 1950s-built boxy tower at 425 Park Ave., L&L last week reached out to 11 top architectural firms to join a competition to design a new tower. The list included Norman Foster, Richard Rogers and Jean Nouvel, each of whom have won architecture’s top Pritzker Prize. “We want to work with the best architectural minds out there, because we have some very important things to achieve and to deal with,” says David Levinson, L&L’s chief executive. Mr. Levinson says he hopes to begin demolition work in 2015 and to finish the new building two years later. The price tag on the project is expected to be about $750 million, he says. The bold plan to knock down the bulk of the existing building and to put a new one in its place reflects Mr. Levinson’s faith in the value of the site. Currently the building is mostly leased with tenants including the white-shoe law firm Kaye Scholer.